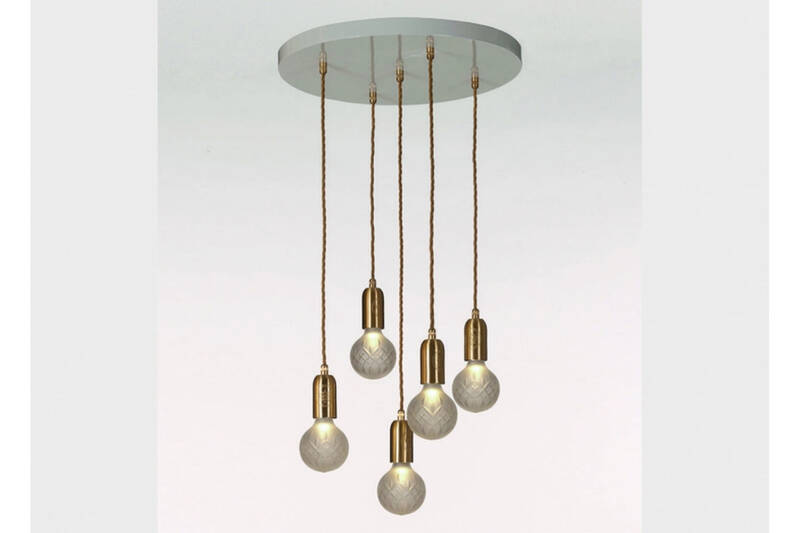 This Crystal Bulb Chandelier features five Frosted Crystal Bulbs suspended at set lengths from a satin white ceiling plate and creates a dramatic cluster that is simple to install. 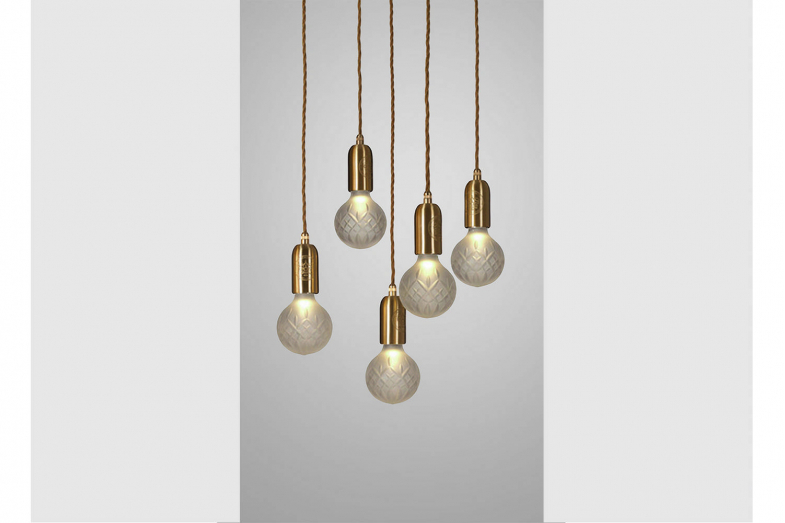 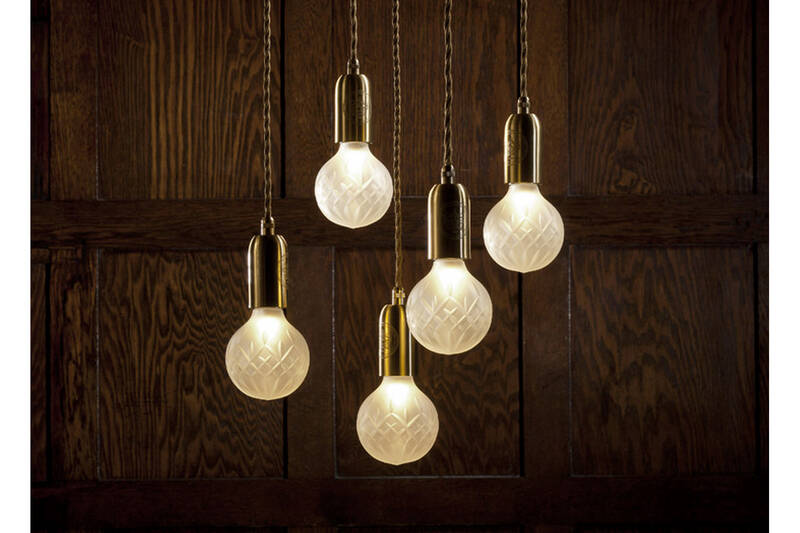 Taking inspiration from the delicate craftsmanship of crystal cutting, Crystal Bulb combines industrial influences with decorative qualities, transforming the everyday light bulb into a beautiful ornamental light fitting. 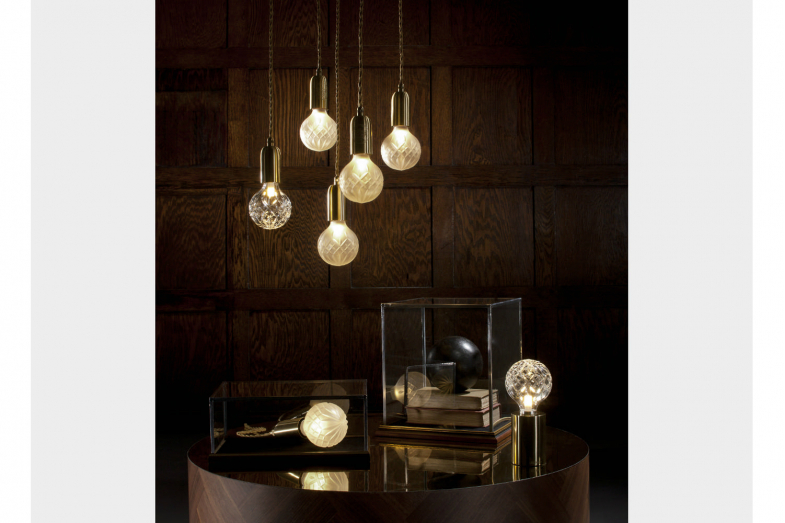 Each lead Crystal Bulb is handcrafted using traditional techniques and hand cut with a classic crystal pattern inspired by those found on traditional whiskey glasses and decanters.